MiniLuxe carries lots of popular brands of polish (Essie, OPI, Zoya and the like) as well as their own line specifically made for MiniLuxe locations. Not only do they offer their own polishes but my absolute favorite thing about my pedis are the Lemonaide scrub and body lotion (also made for MiniLuxe). It.Smells.Like.Heaven... or how I would imagine Heaven to smell. They have it available for purchase (and I may or may not own some of this myself) and I have to say I think it's well worth the sweet moola. Shout out to Rita who did my mani and pedi. She was lovely and her attention to detail was spot on. I mean, this woman was meticulous. I love that in a salon manicure and pedicure. If you've got the time and want a quality salon service, I would highly recommend heading to a MiniLuxe near you. 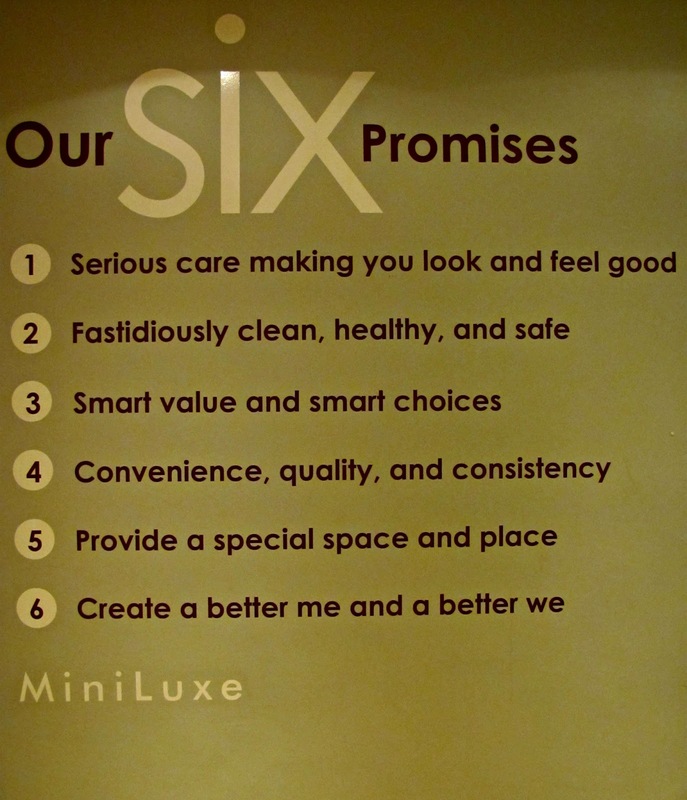 MiniLuxe has great locations for anyone in the Boston and surrounding areas. Check out which location is nearest to you! *This manicure and pedicure was provided to me c/o MiniLuxe. All opinions are 100% mine because I have no reason to fib about it! There is nothing like a good mani/pedi am I right?